Lorien is at an internship in stage managing and acting in New Hampshire, while Judah is sailing off to be a pirate in Chicago. Judah the Pirate, "Brother Noomski"
Judah on the News! The CBS Channel 2 Chicago News coverage of the Tall Ships Festival. He is working on the Tall Ship Windy, out of the Navy Pier in Chicago. The theme this summer is going to be pirates. He will be doing day trips for sightseeing in conjunction with educational voyages to teach sailing, while dressing as a pirate a couple times a week. The ship on the left, the Windy II, he'll be working on (He'll be living on the Windy). 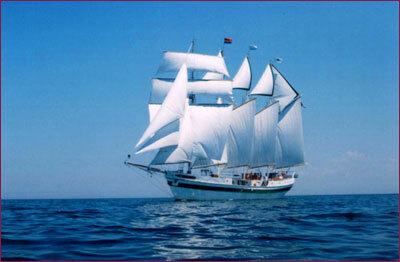 If you want more information, the company's website is www.tallshipwindy.com. Also, Judah is continuing to work on his book. He has it written, but only half of it is edited. This summer Lorien has been accepted to a stage managing/acting internship with the Peterborough Players in New Hampshire. She will be stage managing two of their second-company productions and then acting in the equity performance of "Winter's Night" by William Shakespeare. Also acting in this production is one of Lorien's favorite professors: Michael Page. If all goes well, the internship this summer will put her well over a quarter of the way to her equity card! Keep her, and her stress level, in your prayers. 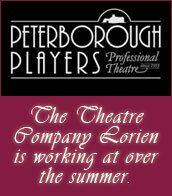 Check out the website of the theatre company, www.peterboroughplayers.org.